Macomb County has a chance to become a business, entertainment and recreation destination in Metro Detroit, County Executive Mark Hackel told a crowd gathered for an annual state of the county address Wednesday. Hackel saidGeneral Motors Co., Ford Motor Co. and Fiat Chrysler Automobiles NV each plan to invest $1 billion in facilities in the county, a minor league baseball stadium is opening in Utica and a local business has plans for a $5 million project to add a roller coaster, zip lines and other attractions. Hackel added Lake St. Clair Metropark in Harrison Township will add a $1 million playscape and sandy beach next year. He said residents and visitors will be able to enjoy fine dining, take in a minor league baseball game and shop at high-end retailers like Nordstrom.  Hackel discussed President Barack Obama’s recent visit to Macomb Community College, the county’s population growth, and economic development goals. Obama and Jill Biden, a community college professor and wife of Vice President Joe Biden, visited the college in September to unveil $175 million in grants to boost apprenticeships, including $11 million for three Michigan projects, and renew a call for two years of free community college for students with above-average grades. Macomb County's population grew 2.3 percent, from 840,987 in April 2010 to 860,112 in July 2014, according to census estimates. Hackel has cited quality of life, job opportunities and the chance for upward mobility as qualities attracting more residents to the county. He said residents can look for progress on a joint venture with Warren to enhance their radio systems for police, fire and emergency medical services. Hackel touted the partnership in November. The county dispatches public safety services to about 400,000 people. Hackel said the county’s portion would come from the county budget and surplus funds. The county executive said his office has commissioned a study on how the county can improve the offender-intake process at the county jail. Residents, he said, can expect to see results in the next year. The goal is to get help for offenders with mental health issues or substance abuse problems while they wait for the court cases to be settled, he said. Hackel has touted other accomplishments this year. In July, he sent a balanced budget to the county’s board of commissioners — the fifth consecutive year he’d submitted a balanced proposal, signaling stabilization of Macomb County’s finances.